Home » Business&Economics » culture » featured » opinion » What’s Driving the Demand for African Languages? Fast forward to the present day and it seems my muddled brain was actually working rather well. Demand for African language services have soared in the past 12 months, with much more growth to come. Before we look at some of the reasons behind this increase, what services am I actually talking about? Language services cover everything from translation to interpreting to copywriting to localization and everything in between. Simply put, it’s about dealing with all sorts of language issues that crop up either for domestic companies, organisations or governments as well as foreign ones. Where is the demand coming from? Well it comes from all sorts of places but here are four key areas I have identified that illustrate nicely why the languages of Africa are now receiving more focus. Although the world is still only waking up to the massive potential the continent offers, many businesses have moved into Africa or are now increasing the scope of their imports and exports. Trade is booming and this brings with it all sorts of demands including the training of local staff, the translation of documentation, proposals, reports and research, as well as the localization of products and or services. One only has to look to the telecoms sector to witness the translation and localization of mobile devices as well as all the marketing and support that goes with it. With internet penetration rates slowly increasing thanks to smartphones and improved IT infrastructures, more and more people are going online. This hasn’t gone unnoticed by the big players such as Google and Facebook who have invested heavily in localizing content into the main online languages such as Swahili, Somali and Xhosa . Even the BBC has launched a Hausa news feed. Google only last week added Afrikaans and Zulu to their list of languages on Gmail. As more and more users from the continent use these platforms, the more these platforms are realizing the need to be accessible in local languages. Both multinationals and smaller players alike see the growing consumer base on the continent. One thing marketers realise is that if you really want to sell to people, you need to connect with them, and to connect with them you need to speak to them in their language. Websites, adverts, posters, flyers, radio commercials, emails and all manner of marketing collateral is being translated into the target languages of particular countries. Agencies specializing in marketing to Nigeria or South Africa or Kenya are opening up at a faster rate than ever before to meet this demand. Although not universal across the continent, governments are now seemingly talking more and more about protecting local languages. In The Gambia, President Yahya Drammeh pledged to end the use of English as the language of government as it is the language of the old colonial rulers, not the language of the people (although many ask which language of the people he is going to replace it with!) 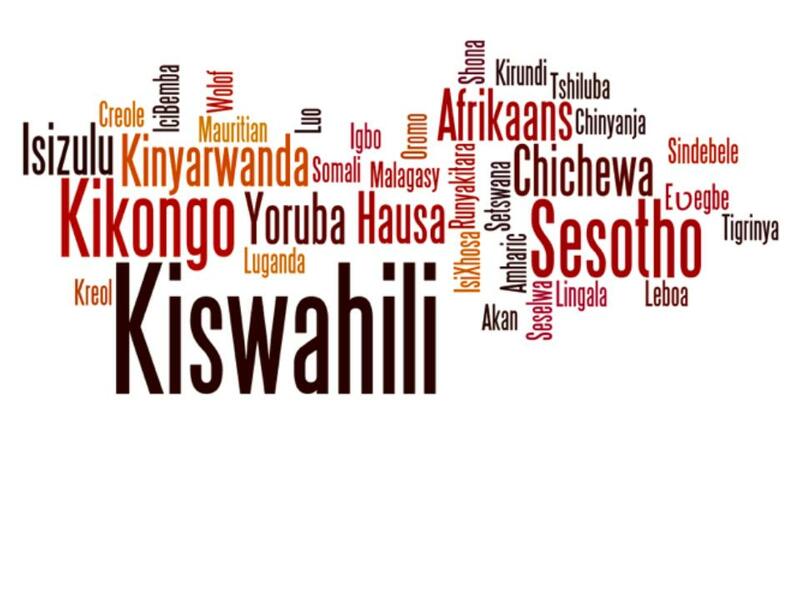 The East African Legislative Assembly earlier in year announced that Kiswahili was to be their language of communication, not English. Within schooling and education, efforts are being made in countries such as South Africa and Zambia to deliver education in native languages. In short, the language issue is becoming more political which in turn is pushing the demand to create policies that support and protect native languages. One factor I have not discussed above is the Afro-culture factor. As the music, movies and models of Africa become increasingly popular both at home and abroad, we are seeing a confidence and strength in identity that is now raising the profile of indigenous languages as never before. Once the languages of the village, with no place in higher society, the tables are turning. People are now proud to rap in Amharic, tweet in Swahili and make movies in Yoruba. The future looks bright for African languages.